The PEN is planning for its second General conference to take place at Leeds University to be held in the School of Earth and Environment from 19 - 22 June 2018. The conference will gather members from around the world to discuss the network's themes from statistics to Palaeoclimate reconstructions. For up-to-date information please check the conference home page. The EPSRC funded PEN, ReCoVER, and SECURE networks will be joining together from 11-12 January 2018 at Leeds University to host a joint conference. The conference will include reviews from the network PI's, talks from the feasibility study leaders, and a poster session with submissions from network members. For further details, registration and a timetable please visit the event page. 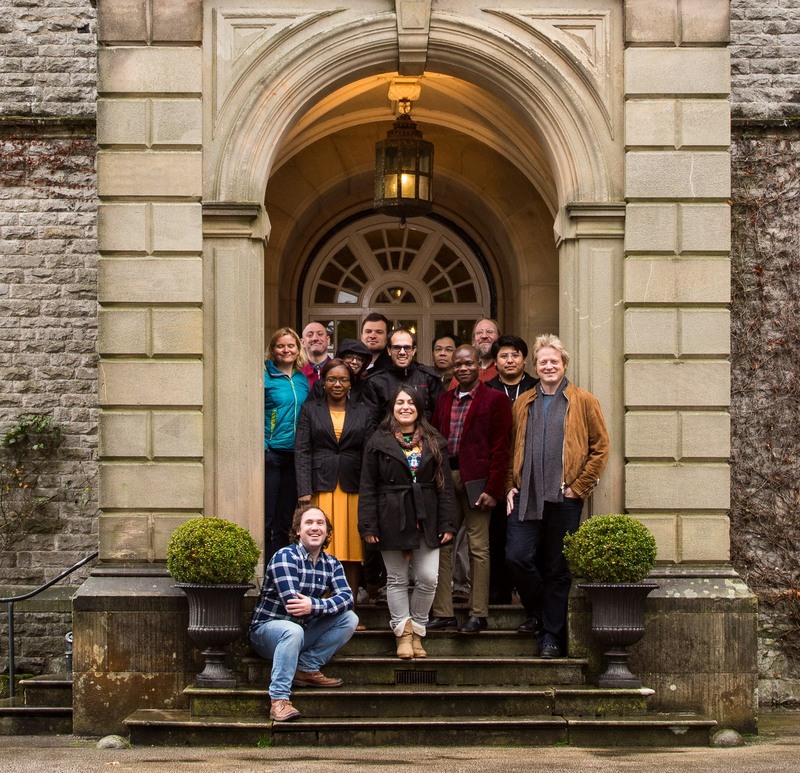 Following the success of the first writing retreat a second event was held again at Callow Hall from 24-26 November. For more information and registration please visit the event page. 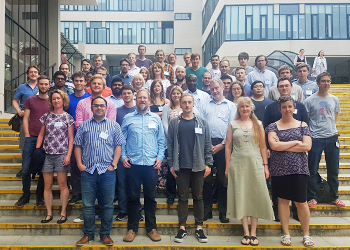 The Data working group hosed workshop on Forward Modelling in September 2017. This workshop will be held at Cardiff University directly after the first UK Palaeoclimate Conference. The key focus of the workshop was to get proxy specialists and statisticians to work together in teams to create forward models. A forward model is a mathematical description of the data generating process by which climate is transformed into proxy data. Some forward models, such as those for pollen, are well-studied in the literature and a variety of options are available. Other proxies have much less understood relationships. In particular, we wish to create forward models which capture the statistical uncertainties in each stage of the data generation process, so that these uncertainties can be honestly accommodated in the resulting climate reconstructions. The workshop will contain a mixture of a few introductory talks to set the scene, but the majority of the workshop will be spent in discussion groups based around individual proxies. We aim to encourage collaboration within the discussion groups beyond the workshop, and would eventually hope for an inter-disciplinary publication and/or grant application. Those who are proxy experts attending the workshop are encouraged to bring data with them so that initial models can be built. For more details please visit the Palaeoclimate Society Website. The Data working group is holding the First UK Palaeoclimate Conference in Cardiff in September 2017. This two day conference is unique in its efforts to bring together those interested in the application of data, modelling and statistics to reconstructing paleoclimates. Researchers actively involved in all areas of paleoclimate are encouraged to attend and it is hoped that research from a variety of environments over a variety of timescales will be presented. The aim of PACS 2017 is to create an opportunity for networking and foster interdisciplinary collaboration across a number of fields working towards a common research goal. For more information please visit the Palaeoclimate Society Website. The Past Earth Network is hosting a writing workshop from 31 July - 2 August 2017. The retreat will be held at Callow Hall in Derbyshire and be arranged as an event for members to work on papers for publication, or on funding applications already at an advanced stage. Further details and registration can be found on the information page. A joint meeting between ReCoVER and Past Earth Network took place Dartington Hall, Devon, UK on 29th and 30th June 2017. The meeting looked at a hierarchy of nonlinear models of past climate and considered how global oscillations of climate variables are created (forced or internal) and may be "paced" by astronomical or other forcing. Questions included: How is information moved up and down the hierarchy of models, and how can simple conceptual models be evaluated against more complex models and palaeoclimate data? For more information including a schedule and registration details please visit the ReCoVER website. From 19 - 21 June 2017 the PEN held a workshop on utilising Gaussian Process Emulators in climate modeling at the University of Leeds. The workshop featured a range of talks introducting emulators, delving deeper into their structure and design, and some useful applications. For further information and access to the slides click here. The Bayesian Inference in Stochastic Processes (BISP) meeting is a long running series of meetings which started in 1998. It attracts a statistical audience of people working in a mixture of theoretical and applied problems. The PEN session will include three talks from Andrew Parnell, Jochen Voss and Paul Blackwell on a mixture of palaeoclimate modelling topics from a statistical perspective. 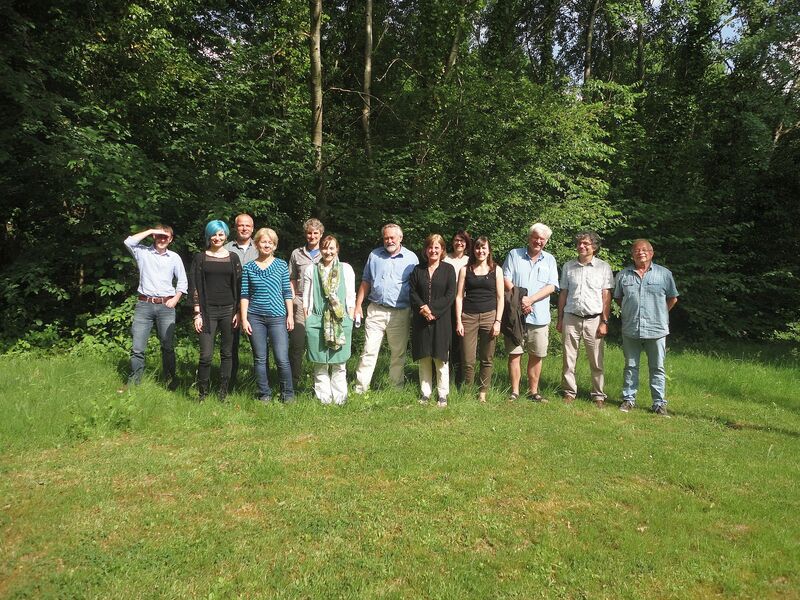 The PEN was happy to help fund the 4th NECLIME Workshop on Digital Plant Distribution held in Liège, at the Institut de Physique, Université de Liège, from May 30–31, 2017, hosted by Louis François and Alexandra-Jane Henrot. Fourteen scientists from 5 countries attended this very productive workshop of the NECLIME working group on digital plant distribution. The workshop was organised in 4 sessions, each with introductory talks and round table discussions. Moreover, four presentations on various related topics were given (Marie Dury, Alexandra Henrot, Matthew Pound, Robert A. Spicer). The full report is available to download here (pdf). The Past Earth Network (PEN) is happy to announce that it is able to provide some funding for the session "Marrying palaeo data records and paleoclimate modelling within a statistical framework" at the AGU Fall Meeting of 2016. This session is being convened by PEN Steering Committee members Alan Haywood (University of Leeds), Aisling Dolan (University of Leeds), Tamsin Edwards (Open University) and Emilie Capron (University of Copenhagen). The session covers inherent uncertainties surrounding the interpretation of proxy data (e.g. seasonal biases, age model uncertainties, geographical and temporal sparsity of records) and the simulation of past climates (e.g. inter-model differences and parameterisation uncertainty). The convenors welcome abstract submissions from any time period (especially pre-Quaternary) that address the following challenges: (1) Quantification of error and uncertainty in palaeo proxy records; (2) Quantification of uncertainty in complex models; (3) Methodologies which enable statistically robust model-data comparison, taking into account the nature and sparsity of data and model uncertainties; (4) Forecasting and future climate projections based on palaeoclimate analysis. AGU abstract submission opens on the 15th June 2016. From 23-28 October 2016, the session titled 'Understanding Climate Variability in a warmer than present Pliocene World', organised by Ulrich Salzmann, Matthew Pound & Stijn De Schepper, will take place in Salvador Brazil. The session funded by the PEN, will address uncertainties in reconstructing past Pliocene environments by specifically focussing on the orbital to suborbital variability of climate and vegetation change throughout this geological epoch. Uncertainties caused by insufficient temporal data resolution have been identified by the PlioMIP 1 programme as one of the major constraints hampering an accurate data-model comparison. By focussing on variability in the available proxy-based data this session will address measurement errors, sampling uncertainty, calibration uncertainty, age uncertainty and spatial uncertainty, which are all key aims of the PEN data-working group. We also aim to bring together marine and terrestrial researcher, who often discuss their results in separated sessions/communities. The PEN sponsored Ruza Ivanovic to attend Goldschmidt 2016 (Yokohama) and convene a session on ‘Tracing Ocean Circulation – Past and Present (session 16a). The session hosted 11 talks and 11 posters from scientists running climate models, measuring geochemical tracers of ocean circulation and using mathematical techniques to compare the measurements and simulations. The Past Earth Network and its upcoming workshop in Cambridge (September) was advertised on the session slide and in announcements. This is the first time a climate modelling theme has existed at Goldschmidt; a landmark in bringing together historically separate communities. As a result, there were many new faces at the conference, paving the way for exciting and fruitful new science. The session was so popular that there were often no spare seats, leaving standing room only for those later to arrive. A particular highlight was the impromptu session dinner, where 25 of the convenors, presenters and audience, most of whom had never previously met, spilled out of the over-running poster session and into a traditional Japanese restaurant. The key-note was given by Geoffrey (Jake) Gebbie, and invited speakers were Sandy Kirtland Turner, Daniel Lunt and David Thornalley. This was a very successful start to the enhanced model-data presence at the annual Geochemistry Conference, and a solid foundation for subsequent Goldschmidts – now looking ahead to Paris 2017! At EGU2016 PEN sponsored a networking event which brought together over 25 climate scientists and statisticians from around the world. 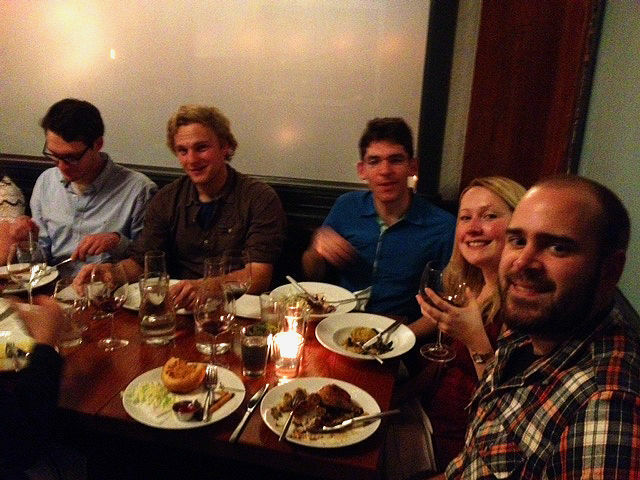 It gave people the opportunity to develop new collaborations and become newly engaged with the Past Earth Network. During the conference there were also a number of PEN related sessions including one co-convened by Dr. Aisling Dolan on “Antarctic palaeoclimates, sea level change and ice dynamics in past warm episodes: marrying models and data”. The session included talks on ensemble predictions of sea level rise based on Antarctic ice sheet modelling to statistical analysis of atmospheric dust content from ice core samples. Dr. Julia Hargreaves also co-convened the session 'Paleoclimates from the Cretaceous to the Holocene: learning about past and future climate changes from numerical experiments and model-data comparisons'. The session focused on how modelling paleoclimates and the transitions between different climatic states still represents a challenge for models of all complexities. We would like to the thank those that attended the PEN meeting during AGU Fall conference in San Francisco on 17 December 2015. The meeting was a well received rest-bite from the bustle of AGU with over 20 attendees from multiple research backgrounds. PEN will host more meetings in 2016 so keep an eye on the mailing lists for invitations. 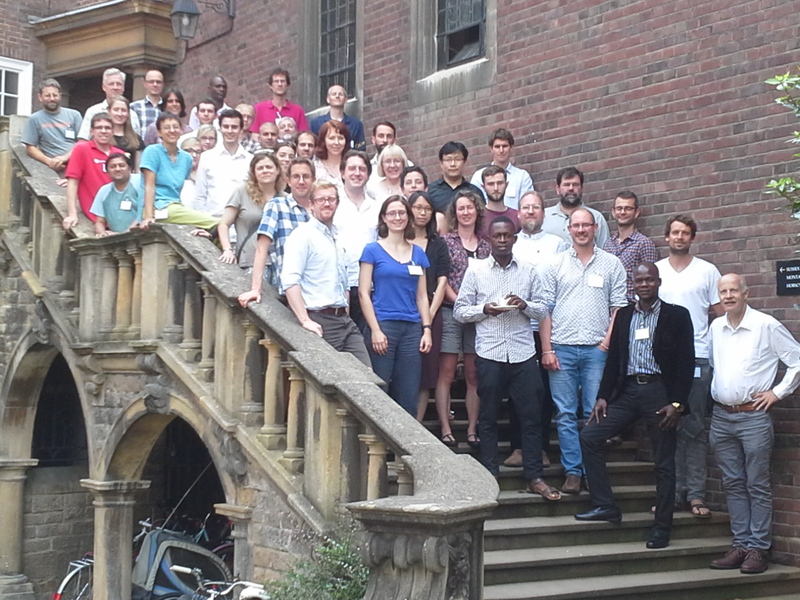 The initial PEN conference which gathered the PEN members to form working groups and discuss the current state of climate models, statistical analysis of climatological data and Palaeoclimate analysis. Over 80 international PEN members joined us at Crewe Hall for a three day conference with talks on the four themes encompassed by the network. At the conference the PEN working groups were also formed, creating networks for future feasibility studies, conference sessions and events. For more information about the conference, click here.